Original Appalachian Artworks, Inc.,Cleveland, Georgia, U.S.A. All Rights Reserved. 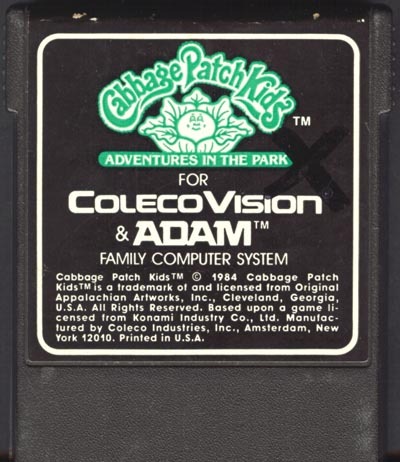 Based upon a game licensed from Konami Industry Co., Ltd.
Amsterdam, New-York 12010. Printed in U.S.A.
It’s exercise time! 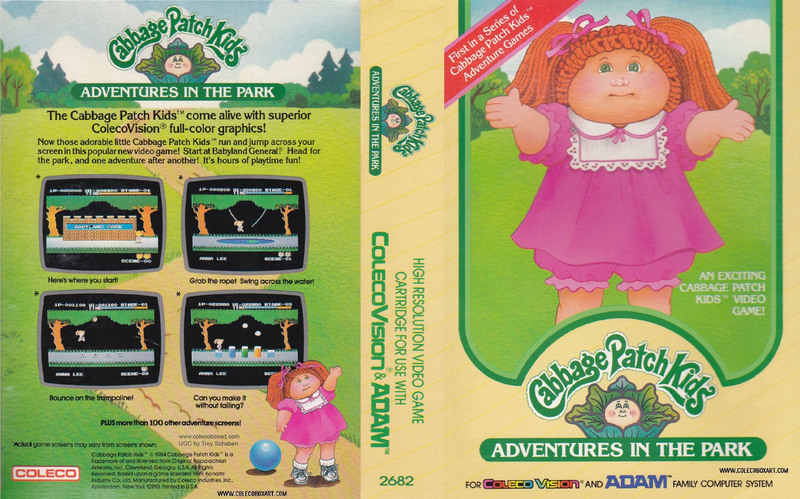 Anna Lee, one of the Cabbage Patch Kids, is warming up for a day of athletic adventure in the park – and she’s taking you along! So stretch your muscles and get ready for a workout. This adventure is no picnic! 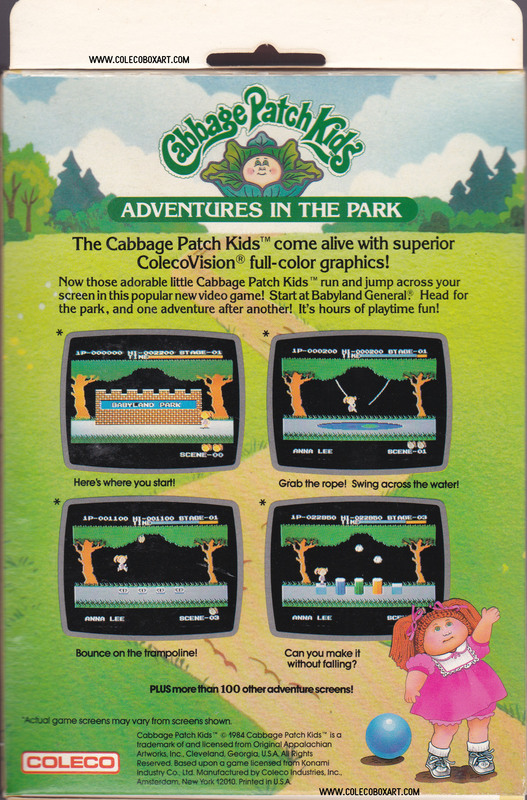 As you stroll through the park, you’ll encounter obstacles they never told you about in the Cabbage Patch. 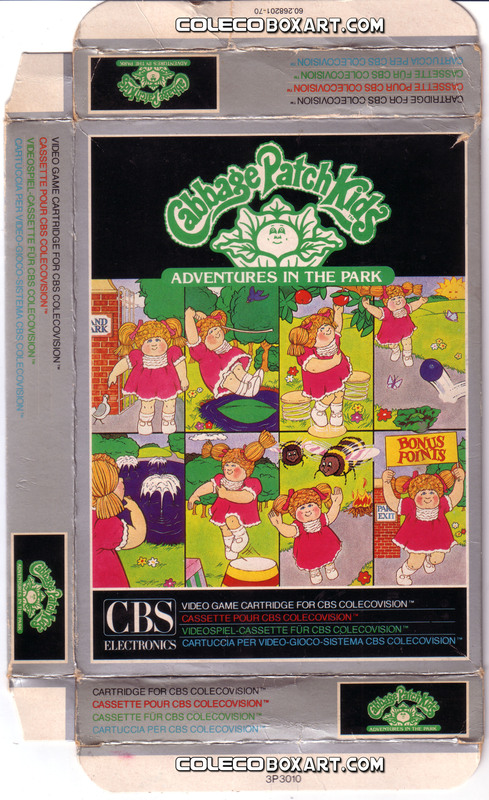 You’ll leap onto floating lily pads, jump over cabbages and bouncing balls, and hop over puddles so deep they could float a ship. And that’s the easy part! By the time you get back to the Park’s entrance, you’ll know just what kind of physical shapeyou’re really in. Are you ready for the workout? This game is often underestimated. 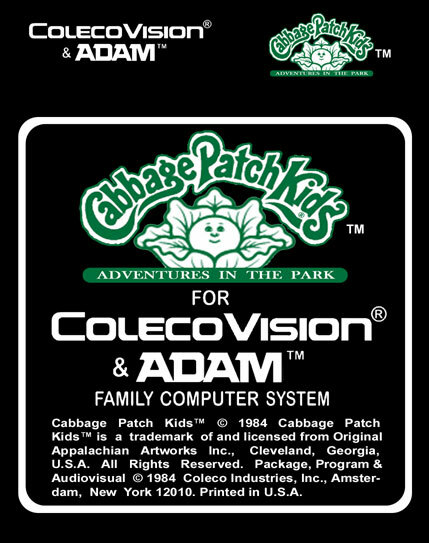 It is inspired on Cabbage Patch Kids dolls sold by Coleco. You must guide Anna-Lee through a park. You have to avoid many obstacles in your journey. All along the path, you can use vines or trampolines to avoid water or to jump higher. 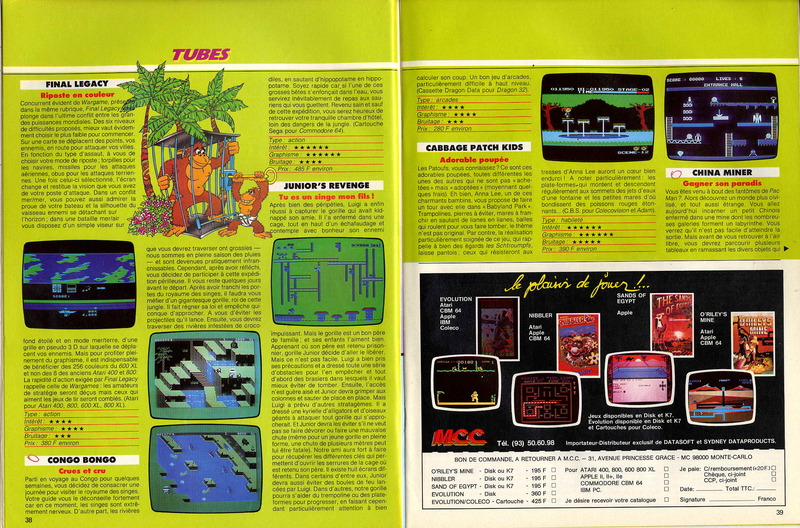 Unlike many games of this kind, you can start to play by going on the right or on the left of the screen. 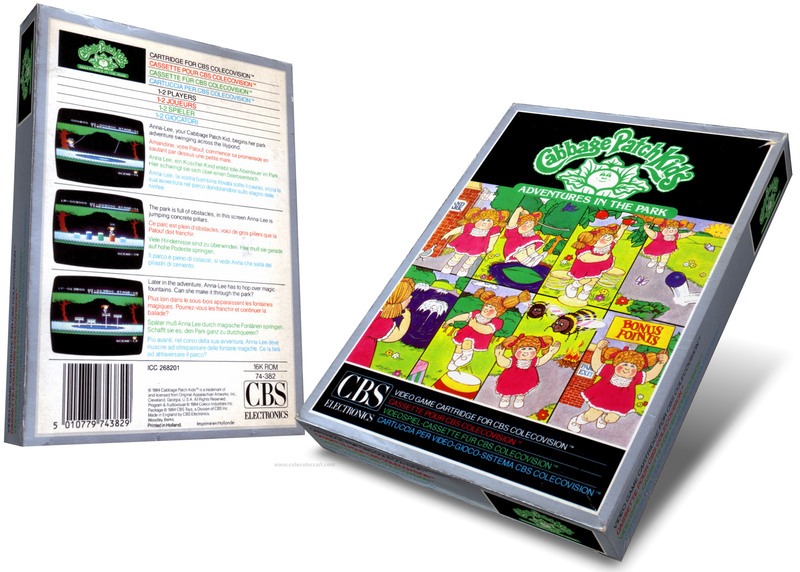 The childish theme could prevent older players to try the game, but the fun and challenge will keep them on playing it. 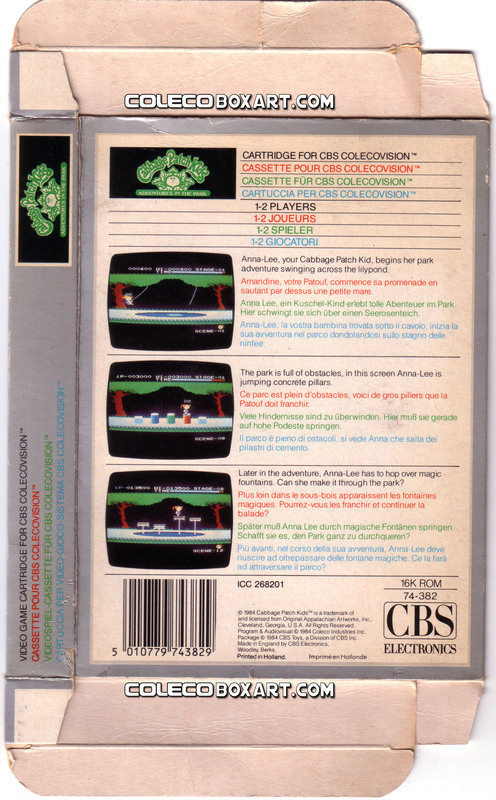 A game to recommend to fans of Pitfall!. 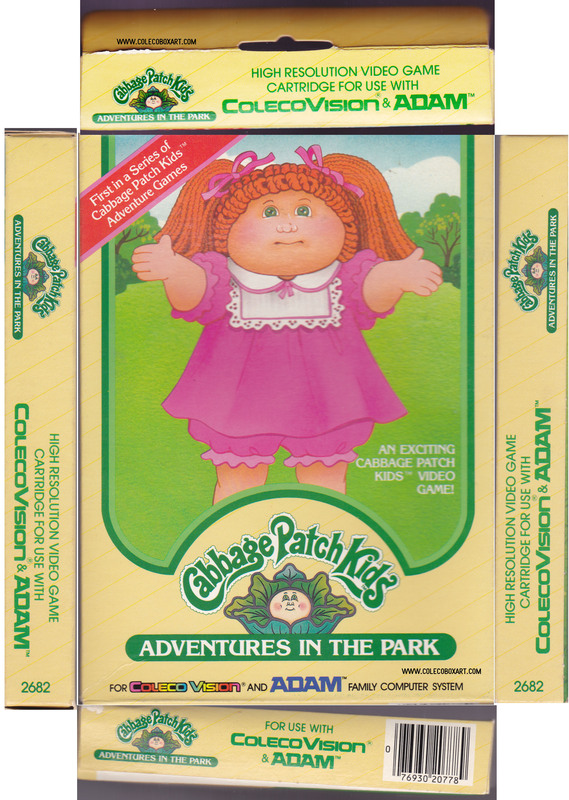 Cabbage Patch Kids is a line of dolls created by American art student Xavier Roberts in 1978. 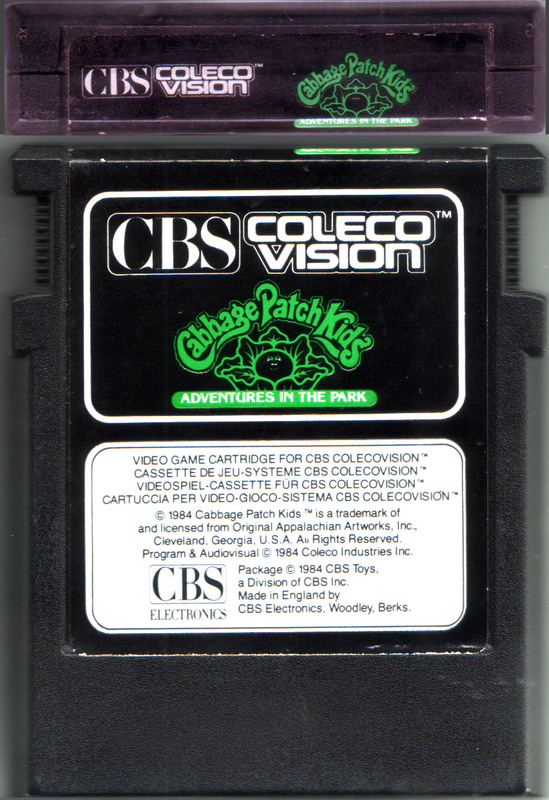 It was originally called "Little People". The original dolls were all cloth and sold at local craft shows, then later at Babyland General Hospital in Cleveland, Georgia. The doll brand went on to become one of the most popular toy fads of the 1980s and one of the longest-running doll franchises in America. Joe Huber says that there is a prototype which is an enhanced version of the released product, not a predecessor.